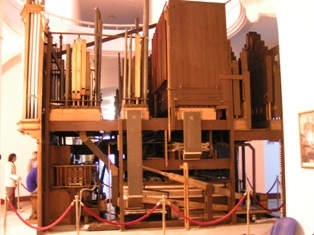 is now the centrepiece of the Gulangyu Organ Museum, Xiamen, South East China. 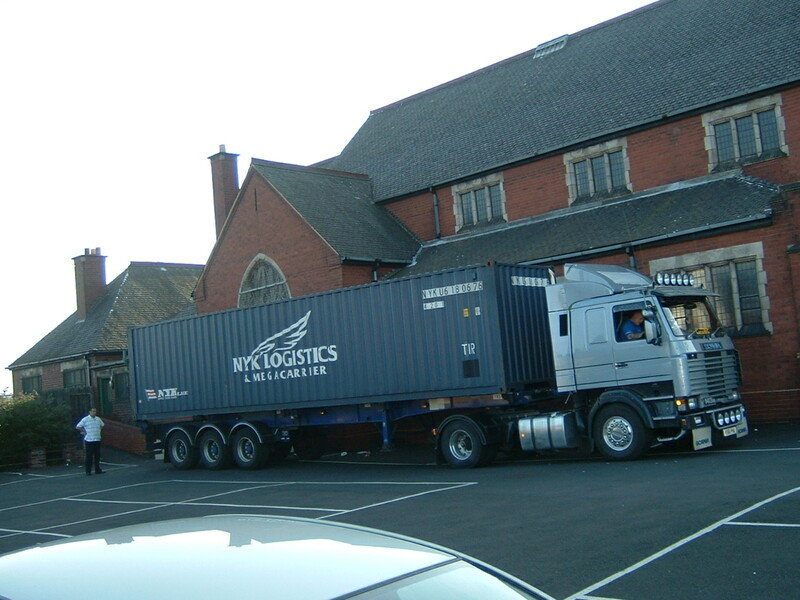 The 1909 Norman & Beard instrument left Cradley Heath for Gulangyu in July 2004. Read on for the full story and news updates…. 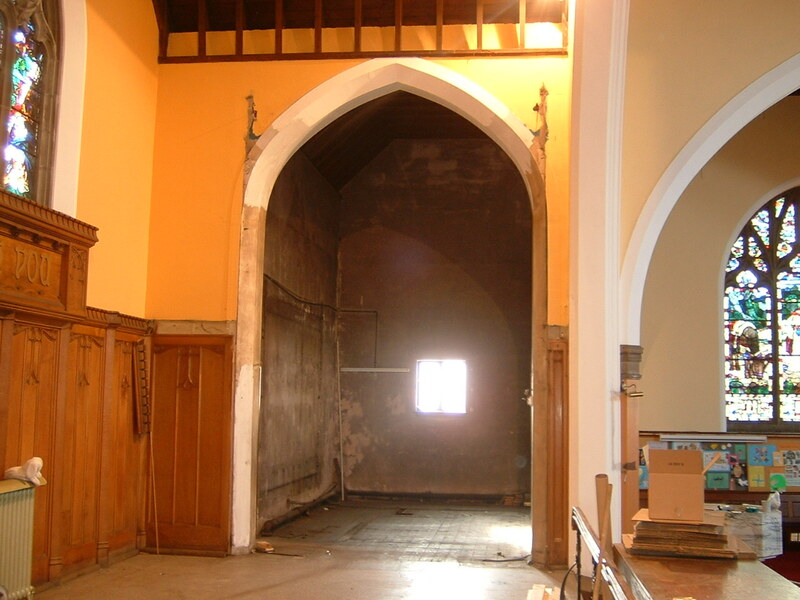 Day 5 – all gone! 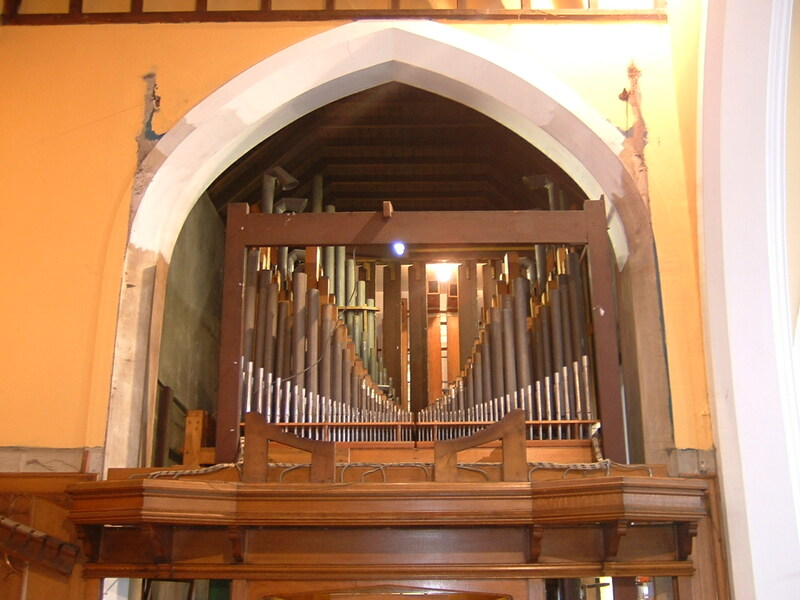 ‘This marvellous turn of events came about only at the eleventh hour; Thanks must go to Mark Checkley, organist of Belbroughton Parish Church, who assisted in initially spreading the word via the internet, all over the world, that this instrument needed a new home. 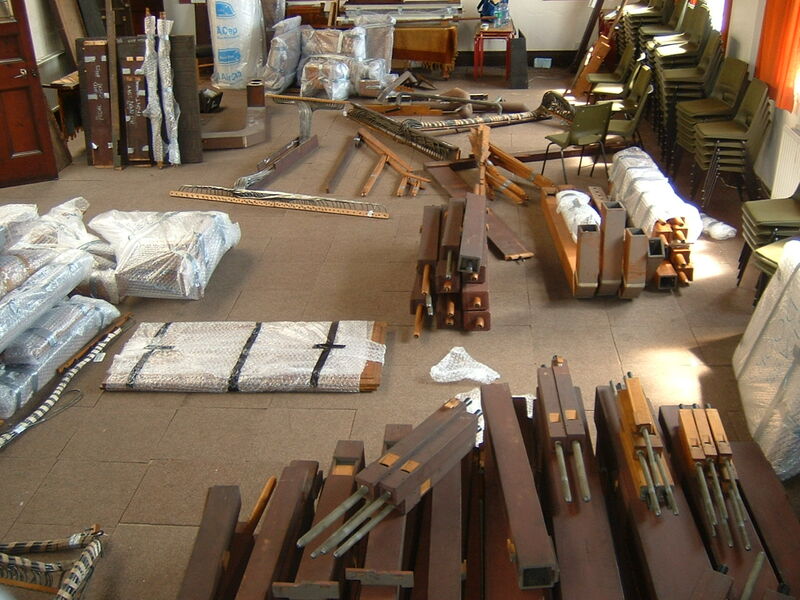 We had received and replied to hundreds of emails over the previous eighteen months, but despite this huge effort and countless projects which had raised and then dashed our hopes, as the church’s closure date loomed the best offer we had was from a local organ builder, and friend of mine, who would salvage the pipework and possibly some of the chests for use in future rebuilds of other organs. This kept the scrap-man away but was far from a satisfactory outcome for such a fine heritage instrument. 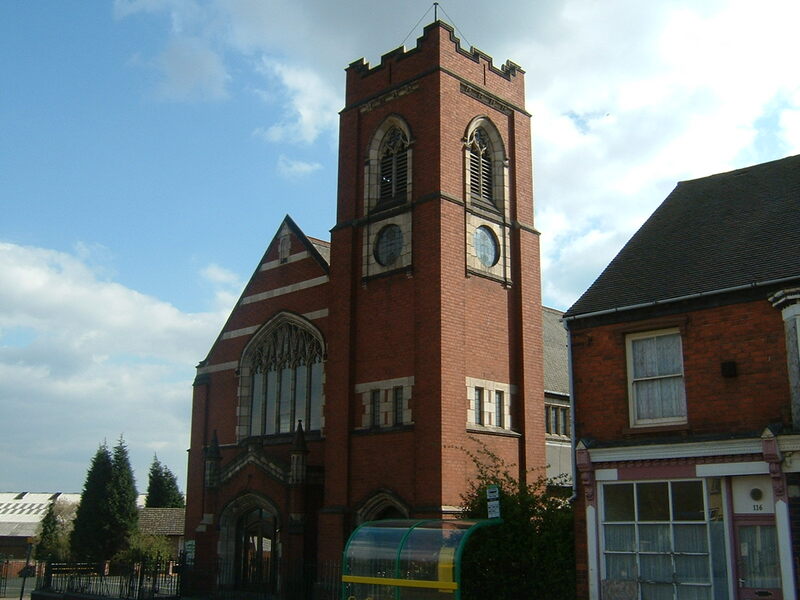 Then in June I met Philip Rogers, a member of the Bedfordshire Organists’ Association, which was visiting organs in the West Midlands, including Cradley Heath. 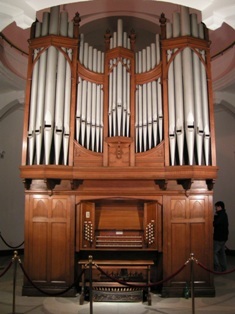 He forwarded to me a few more contacts to try as a last attempt to save the organ. One of these contacts was Peter De Vile formerly of Hill, Norman & Beard, who forwarded details to Derek Byrne, now based as an organ builder in South Africa. Derek had previously served as apprentice to Charlie Hosier, who looked after the Cradley Heath instrument from 1941 until the late 1980s. Derek was involved with the 1979 overhaul at Cradley Heath and remembered the instrument well. 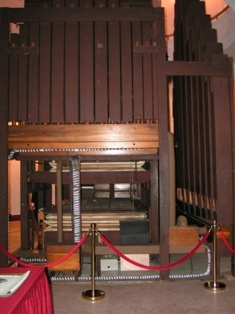 He knew that an organ builder, Ian Wakeley from Victoria, Australia, had been looking for an organ for a client of his, the museum in China. Many emails later and the deal was done – taking only a fortnight to complete what we had been trying to achieve for over eighteen months!! Patience was rewarded! 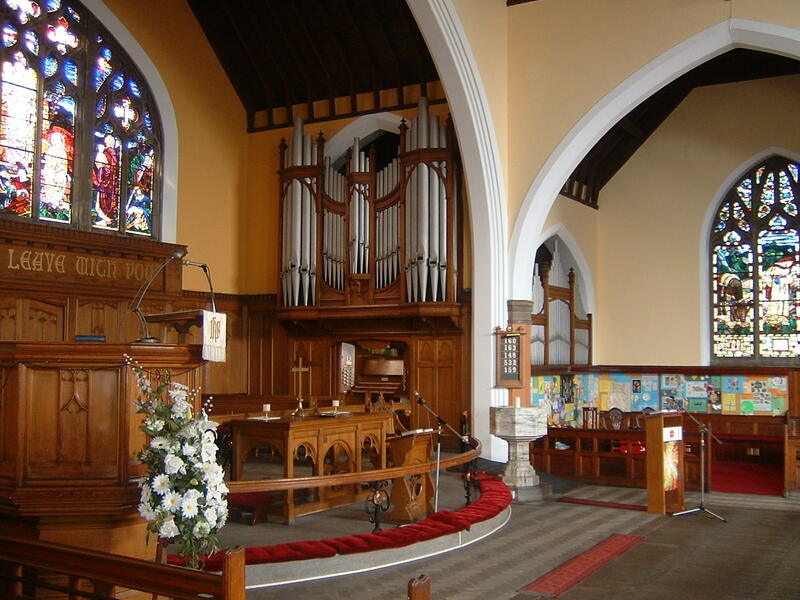 The church’s final service was on Sunday 18th July 2004. I had my final play later on that evening – some Hakim (of course!) 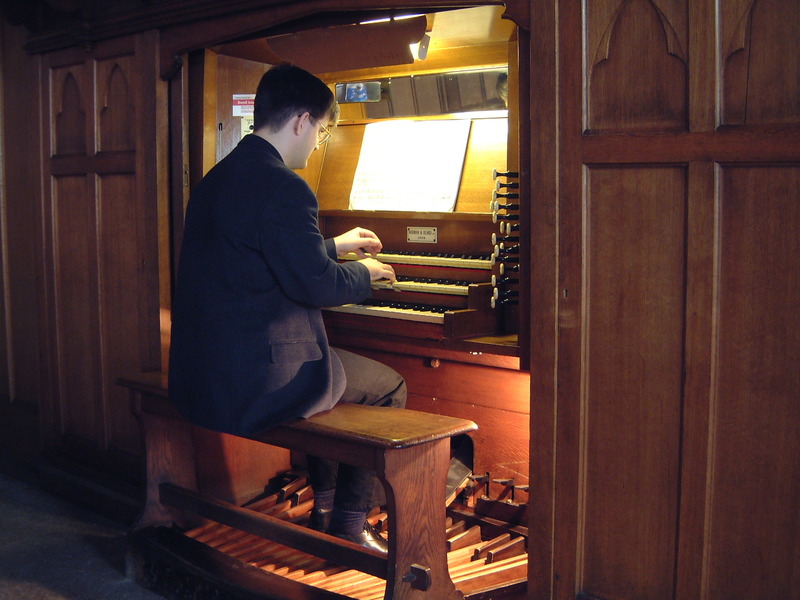 the Bach/Vivaldi A minor concerto, a sumptuous Vierne Clair de Lune and an emotionally charged Franck Choral no. 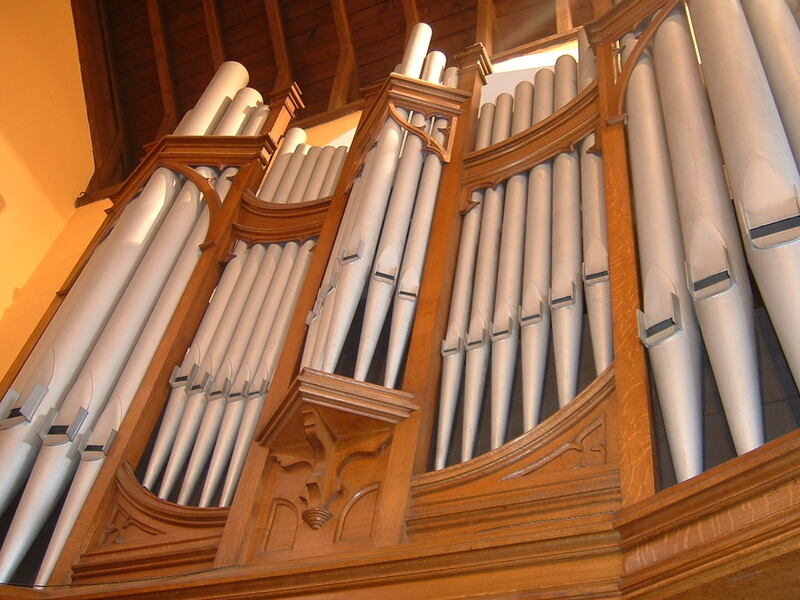 2 before a twenty five minute improvisation on the Kyrie Eleison (plainsong) saying ‘au revoir’ after nearly eighteen years of all those wonderful sounds! 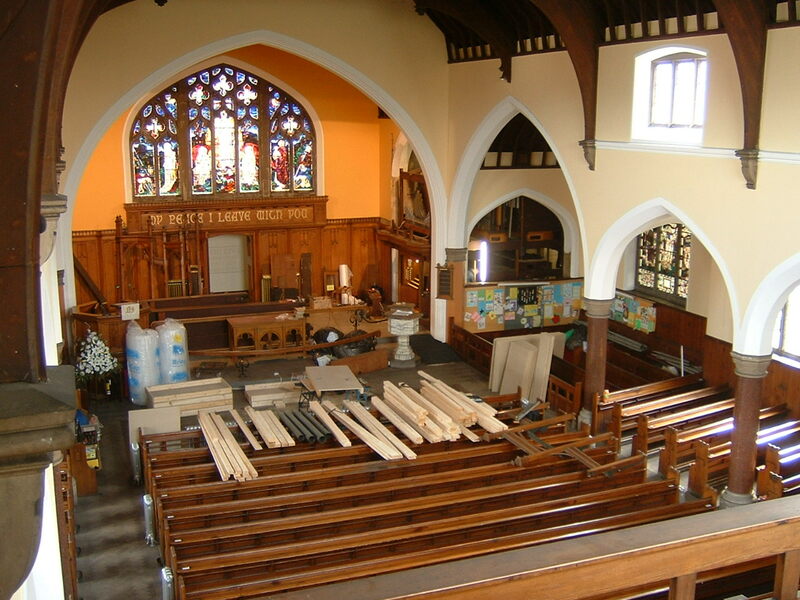 Both Ian Wakeley and Derek Byrne had arrived in England only a few days previously and began work dismantling the organ the very next day, assisted by Peter Spencer, who also worked with Charlie Hosier and has looked after the instrument since Charlie retired. 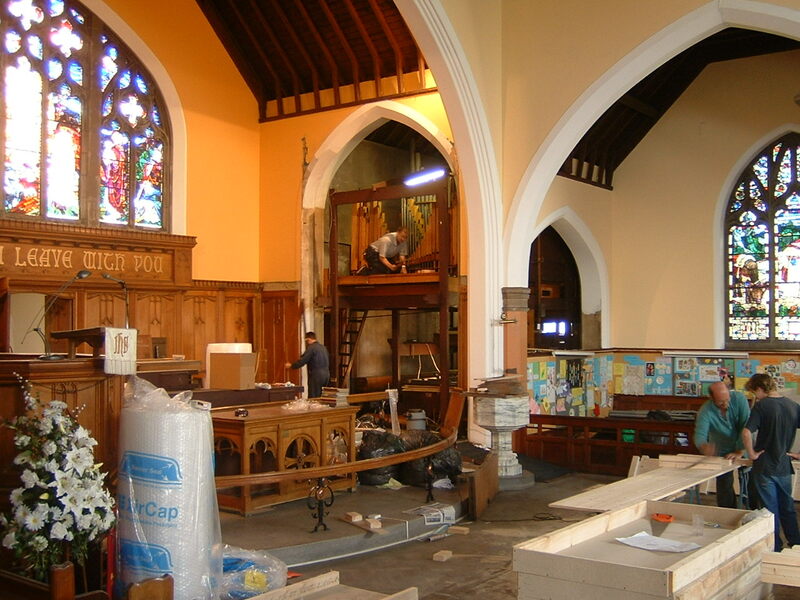 I spent much of that week at the church, watching the organ being dismantled and being carefully packed into boxes and crates, which were being made to order on the spot from the huge pile of timber and bubble wrap(!) stacked at the front of the church. After four long days of very hard work, a shipping container arrived. It took four men six hours to load it. 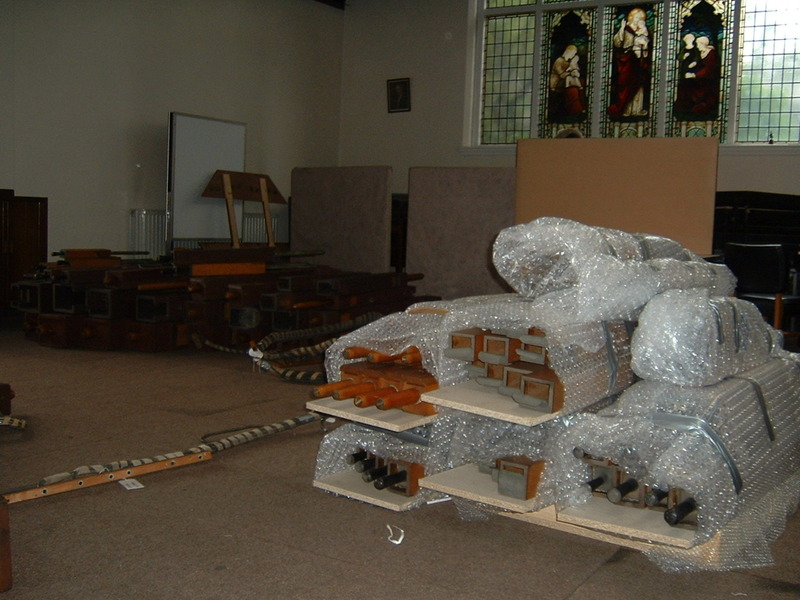 Hannah and I busied ourselves by bubble-wrapping parts of the organ’s casework. 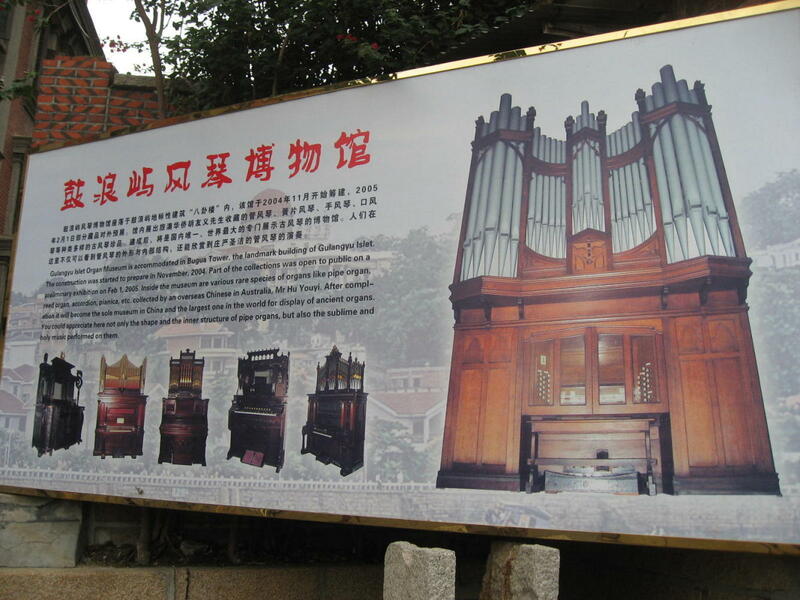 ‘The installation of the organ in Gulangyu has been successfully completed by Ian Wakeley. 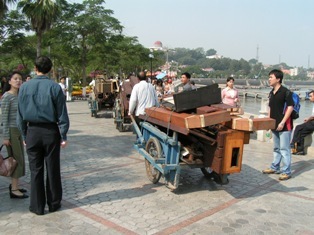 There are no vehicles on Gulangyu island. 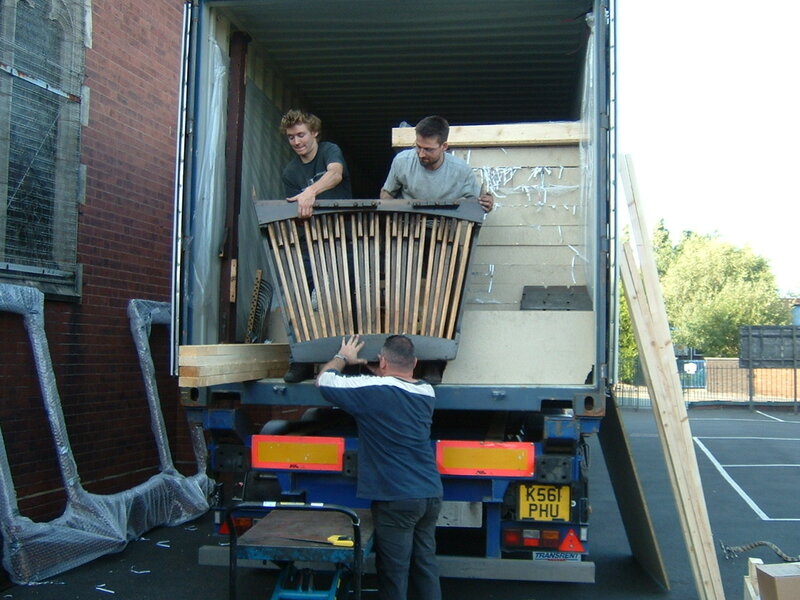 When the organ arrived it had to be transported from the coast in hand-pulled carts! 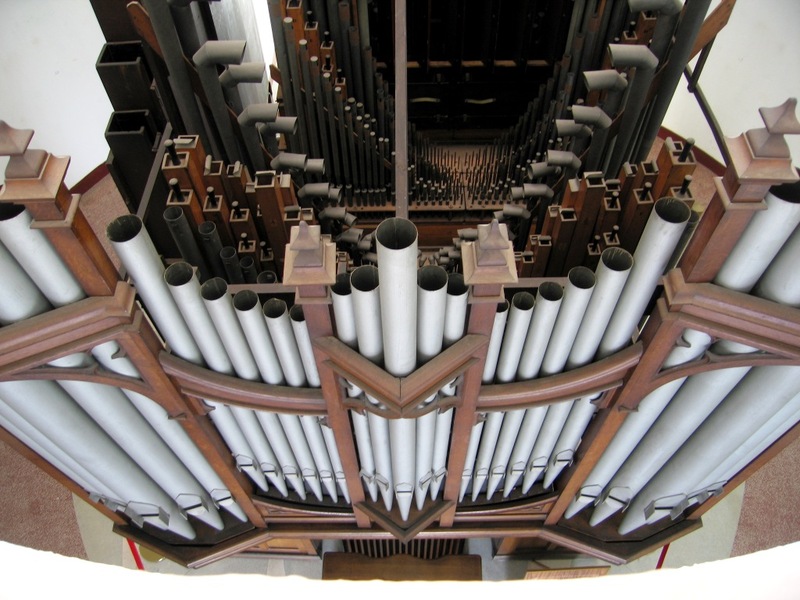 Below is a link to a programme all about the Gulangyu Organ Museum, which features the organ from Cradley Heath being played in its new home, along with other smaller instruments and footage of the large Casavant organ which will be reconstructed in the building’s new extension. which is also known also known as ‘The Cradle of Musicians’ and ‘Island of Music’ because of its reputation for music appreciation.